When I first began thinking of a birthday party theme for my son, I knew I wanted to have something based off of a classic nursery rhyme so I chose Hey Diddle Diddle. As I began to craft and create things for the party, it became more visually focused on the cow jumping over moon. I loved the color combination of aqua blue, apple green and a light lemon yellow. For the dessert table I chose to have chocolate moon pies, star shaped apple pies, cloud sugar cookies, chocolate chip cookie dough stuffed cupcakes, Cow Tales caramels, vanilla cake pops, rock candy, sour gummy bears, M&Ms, berry sky jello, banana cream pudding and a fondant covered oreo cake. Chocolate chip cookie dough stuffed cupcakes! Yummy! 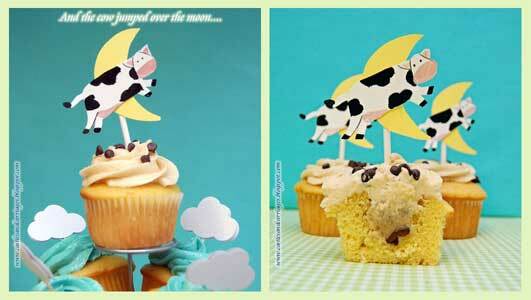 For the cupcake toppers, I drew out each cow and moon, painted them, then cut them out! I wish I had one of those fancy crafting machines to do the work for me. If you're interested in learning how I made the rock candy, please click HERE for the tutorial! The sky jello was really easy to make and if you'd like to see how I made it please click HERE. This was my first time making a fondant covered cake. I made my own homemade marshmallow fondant to cover the oreo cake. Kneading the food coloring in was the most difficult part. It took such a long time to get the right shade by hand! 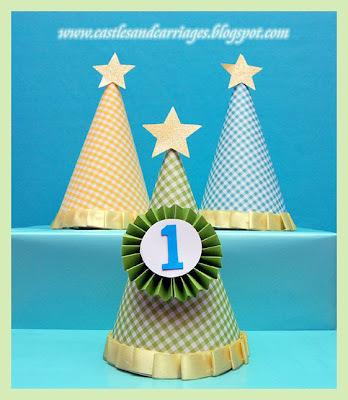 I made the party hats using gingham patterned paper (fabric for the yellow hat) then glued some yellow ribbon as an accent. The glittery stars topping the party hats were also made using a Fiskars punch. So Happy 1st Birthday to my little man! What a wonderful idea. I love the cupcake toppers and the colour combination is gorgeous. Wow this looks great! 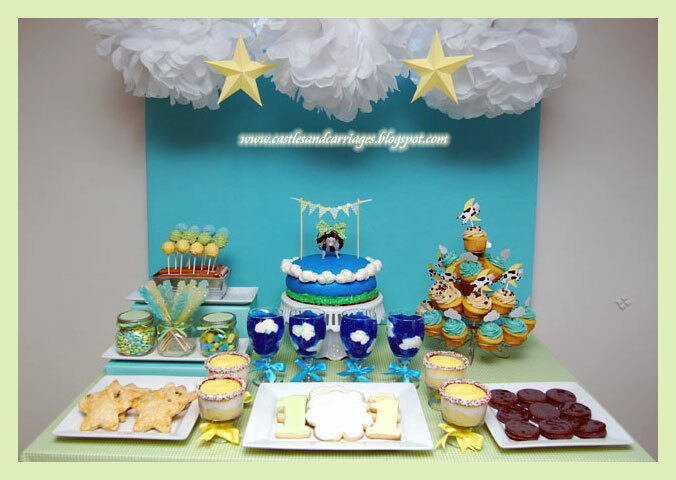 Throwing a "moon and stars" themed party for my daughter's second birthday and having trouble finding examples of it online. This really help! Where did you find the stars you have hanging up top with the poms? Thanks! Hi Bethany, I actually created the stars myself out of yellow cardstock! So clever! 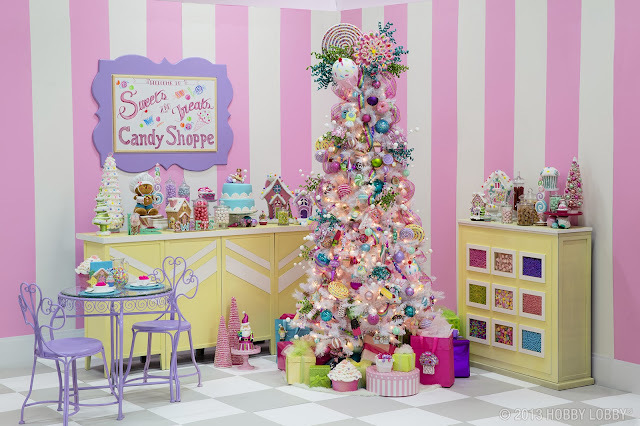 what a cute way to do this theme! love the apple pie stars and the moon pies! 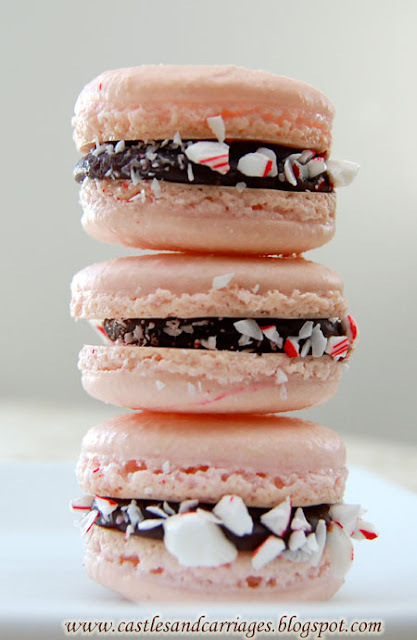 Would love to know if you have a recipe for them!